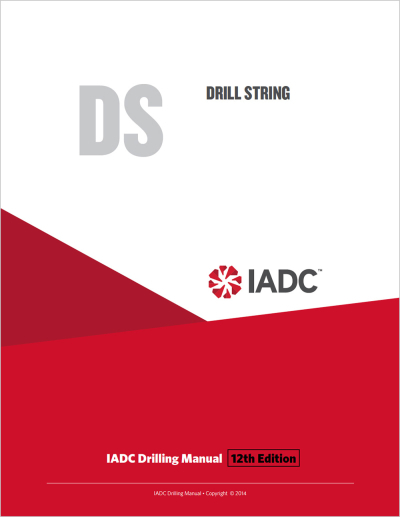 Updated and enhanced with brand-new content, this new eBook, an early-release chapter of the 12th edition of the IADC Drilling Manual, is the definitive guide to drillstring operations and maintenance. © IADC. All rights reserved. The eBook contains brand new sections on heavyweight drillpipe, safety valves and accessories, wired drillpipe and more. Color photographs clearly identify common drillpipe problems. Also, for the first time, this IADC eBook includes proprietary drillpipe tables from IADC-member manufacturers. 95 color and black-and-white illustrations and photographs. 31 tables, plus three extended proprietary tables in appendix. 113 pages, including references, glossary and 23-page appendix. © IADC. All rights reserved.